The one-room schoolhouse is as iconic a part of American history as the cowboy. Although there are still a few one-room schoolhouses left in America, mainly in small western communities and among the Amish, they are quickly becoming a thing of the past in preference to today’s larger modern schools with all manners of technology and conveniences. But 125 years ago, things were vastly different. Teachers in one-room schools were often former students of the same school they taught in. During the winter months they would get to school early to get a fire started in a pot belly stove, so the building would be warm for the students’ arrival. Sometimes they would even prepare a hot, noon meal on top of the stove, usually soup or some kind of stew. A normal school day was 9 to 4, with 15-minute recesses in the morning and afternoon and an hour for lunch. They generally ran through eight grade, and teachers taught subjects such as grammar, ciphering (mathematics), penmanship, spelling, history, and geography. Older students had the responsibility of bringing in water and fetching coal or wood for the stove. 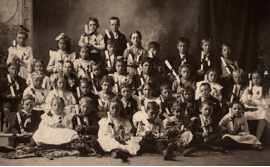 According to their size and gender, younger students would be given responsibilities such as sweeping, cleaning the blackboard, or taking the erasers outside for dusting. Male teachers sometimes lived in a teacherage, which was often attached to the school or located nearby. He would be expected to help care for the school building in some cases. If their family didn’t live in the area, single female teachers, sometimes as young as fifteen, boarded with a local family, as social norms required they be supervised. Female teachers had to remain single, and be of excellent moral character. Some teachers made as little as $4 - $11 per month, but others earned as much as $25 per month. 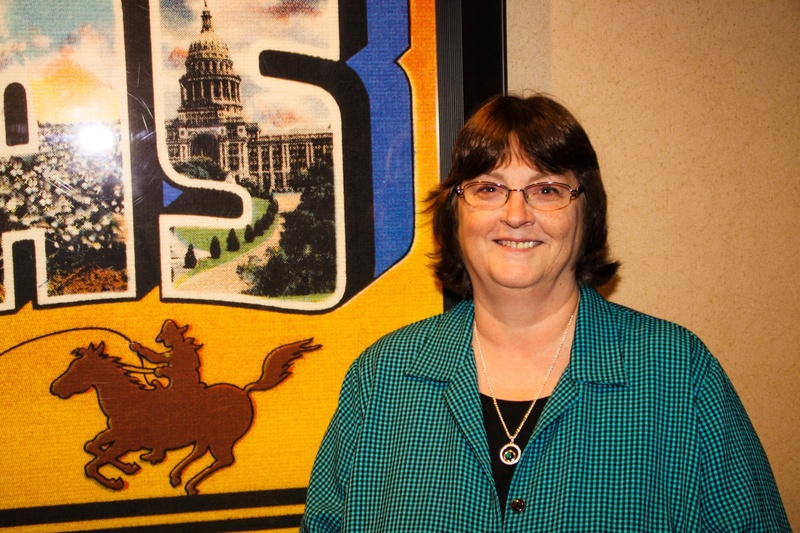 Many schools were only in session 3 - 4 months out of the year since children were needed to help with spring chores and fall harvesting, so the teacher had to find another job or live a full year on only 4 months salary. Although some women made teaching their career, a substantial number of women taught for only a year or two, then married and moved on to new challenges. This pattern, as well as the relatively low pay, led to a very high turnover among teachers. 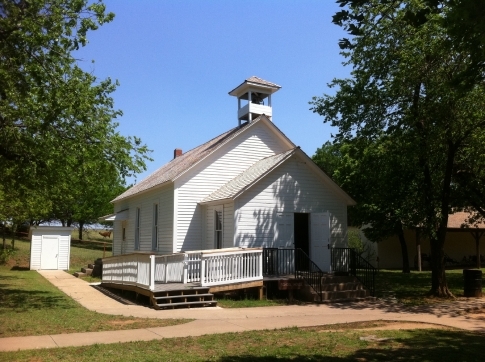 The picture at the beginning of this article of the white schoolhouse among the trees looks more like a church, but it is actually Rose Hill School, located in Oklahoma. They hold classes for visiting school children to give them a taste of life back in the 1800s. I hope to visit there one day. So, is there a one-room schoolhouse located near where you live? Did you or a relative of yours attend one? 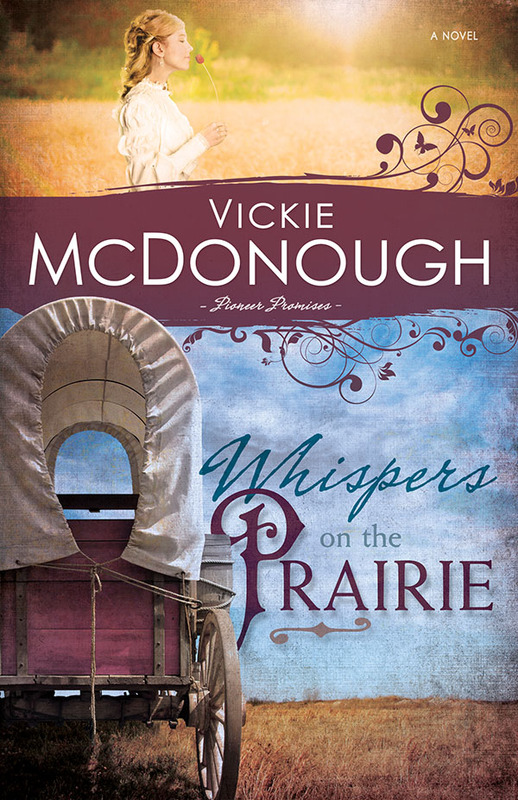 Whispers on the Prairie, book 1 in the Pioneer Promises series, is a Romantic Time Recommended Read! When Sarah Marshall’s wagon breaks down near a stage stop on the Santa Fe Trail, marriage proposals fly in faster than the incessant wind, but only one man interests Sarah—and he’s not proposing. Ethan Harper’s well-ordered life is thrown into turmoil when an uppity city gal is stranded at his family’s stage stop. Now his two brothers and every unmarried male in the county are wooing Miss Priss. When one brother proposes, Ethan is in turmoil. Is it because she’s the wrong woman for his brother —or the right one for Ethan? Maude, I always went to big schools so going to a small one sounds fun to me, but I imagine it had its own challenges. I went to school in OK also. :) Thanks for stopping by today! I love old schoolhouses and enjoy visiting them if we ever find them on our travels. The last one we visited was in Kentucky. Our children always find them interesting because of their vast differences from the schools of today. I love to visit them too, Britney. They're so charming and interesting. Thanks for stopping by today. Oh, I have some fun information about one room schoolhouses. First, I live in one. Or at least part of one. Evidently the house we bought about five years ago was originally the area's one room schoolhouse. It would have been a farming community way back then. Also, there's a one room schoolhouse still in use about a hour and a half away from me. The community has one teacher for elementary school and they're all in the same room. Last time I asked, a whopping 8 students were enrolled. The middle school and high schoolers are bussed an hour south for school. Naomi, we have several former schoolhouses in our area that have been converted to homes, and most of them still look just like a schoolhouse, minus the bell! Just imagine all the children who once populated your home! Fascinating! How fun, Naomi. I'd love to see a picture of your house, if you wouldn't mind emailing it to me. I know there are still a handful of one-room schoolhouses in small communities, especially out west. When I was researching a book set in ND, we visited the state, and I met a lady who lived so far from the nearest school that she had to live with a family in town during the school year. It's hard to imagine living so far from a town like that, in these modern days. Great photos, Vickie. I always wanted to go to one. But I was from the city in Michigan. My grandfather came over from Canada and taught at various country schools before he married. I have a certificate that showed his pay and that he received extra each month for janitorial services; like starting the fire and sweeping the floor. I asked him once if he spanked kids who didn't know their lessons, or made them stand in the corner. (TV offers us so much!) He said NO, he just had them study until they understood it. He played catch with a boy one day and the ball hit his eye. It had to be removed and he had a glass eye after that. We have a movie camera picture of one of the school houses where he taught....its since been torn down. Diane, I bet your grandfather could tell some good stories about his students. It's nice to know his history. Great post, Vickie! I didn't attend a one room school, but both of my parents did in their early elementary years. I have visited one at Conner Prairie, an 1836 living history museum near Indianapolis, Indiana. The part about teachers sometimes cooking a meal on the potbellied stove was something I hadn't heard. Neat historical info! BTW, great pics! Thanks, Ramona. I've read in books that some teachers cooked lunch. They sure had lots of duties. Loved the article, Vickie, especially the pictures. Also loved your new book. I lived in Ky growing up and went to school that had small classes, I stll fondly remember all I went to school with and many started in first grade with me and graduated 12th same school. small town living. It must have been cool going to school with the same kids for so many years. I always had classes with lots of students. My graduation high school class has 1,100 students. No kidding. Graduation took four hours. There was a one room school across the road from my grandparents' house. My mother attended there. When I was in first grade (the oldest of 4 children), our house burned, and we lived in that schoolhouse for awhile, I don't remember how long, until we could find another place to live. I remember Mom and Dad hanging quilts to divide the open room into sections to make bedrooms. Helen, I guess your mom can't taunt you with stories of having to walk over a mile to school in a dress on a windy, snowy day like mine does. Sorry to hear your house burned, but it's kind of cool you got to live in the school for a while. That sure sounds like a fun trip, Sharon. I'd like to do that one day--drive the pony express route. I remember driving (with my family) by the one room schoolhouse my mother and brothers attended. I never thought to ask to go inside. Maybe it was falling apart anyway. They eventually tore it down, and I was sad to see this. My mother-in-law taught in some one room schoolhouses until she got married. That's sad to hear they tore your mother's school down but cool about your mil teaching in a one-room school. My mother-in-law attended school in a one-room schoolhouse, and her mother taught in one. In the Thumb area of Michigan, there are also some one-room schoolhouses still in use. (Naomi, I didn't know they had an operating one in the U.P.! We were told that the ones in the Thumb were the only ones in MI!) At one time, we were considering a move to the Thumb for my husband to pastor, and the one-room schoolhouse was going to be a serious consideration for us. That, however, didn't end up happening. When I was in middle school, we attended an A.C.E. school where all the students were in one big room. However, we were divided by age and each age group had their own monitors rather than one teacher over all ages. Have you heard any stories from your mil about her teaching experiences? That would be cool. Seems that the closest thing we have to a one-room school around here is home-schooling. It's the same here, Margaret. Thanks for letting me know you enjoyed Whispers! I attended a one room school, and I'm only in my early 30s. Granted it was a private school, but it was the best education I got frankly! Lots of working at our own pace. Very cool, Melissa. It sounds a bit like home-schooling where students can go at their own speed. My Mom attended a one room school house and one of my great-aunts taught at one..I just visited Sauder Village in Ohio and was inside one. It was something else..I was homeschooled..;).Our next-door neighbors house used to be a one-room school house and she attended there also...btw, I have enjoyed all of your books that I have read. Thank you! Several of my kids have visited Rose Hill School, but I haven't gotten to go yet. Going to only 8th grade was pretty normal for most folks born in the 1800s and even early 1900 in some areas, unless they were wealthy. Loved this post, Vickie. As a former teacher, I am fascinated by early education and those old schoolhouses. The heroine in Book 3 of my present series is a school teacher as was the heroine in my Christmas book. My grandmother told wonderful tales about the little school house she attended in the late 19th century in West Texas. (Not the town, the area)I think I'd better write those down before they're forgotten entirely. Have always loved touring one room schoolhouses! I lived in Tn., not far from the original setting of "Christy" - for a number of years. I always loved the one room schoolhouse scenes in Little House on the Prairie and the Anne of Green Gables series. My mom's dad was born in 1901 and attended a one room school house in central Texas. He told the best stories about his school, and my mom recorded some of them before he died at age 99. Can't wait to read your book and share it with my mom! Would you bring one to the next WIN meeting if you think of it?